At Rich Investments, Inc., we believe that investing should be based on evidence or science rather than speculation. 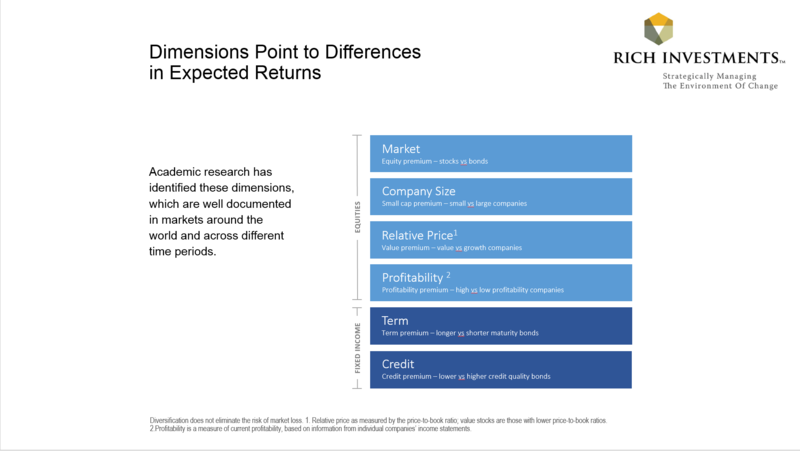 Academic research has identified several dimensions or factors, which point to differences in the expected returns of equities and bonds. 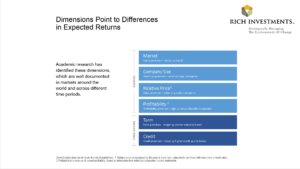 These dimensions are pervasive, persistent, robust, and can be pursued in cost-effective portfolios. Rich Investments is a family-owned and operated Registered Investment Advisory firm. We are money managers providing a unique, strategic experience in fee-only investment and wealth management.